You may be dealing with higher utility bills over the next few months—an indication that your home isn’t as energy-efficient as it can be. Now might be the time to beautify your home, though it’s also good to plan your next home upgrade that will reduce your energy consumption and subsequent costs. As your roofing and home improvement contractor, John Henderson Construction, LLC can help. From planning to installation, we’ll work with you to achieve the results you want. Learn which home upgrades you can pursue to reach higher levels of comfort and energy efficiency today. In addition to compromising your protection, old and drafty windows can also add burden to your heating and cooling system. Windows that don’t perform as intended due to age and damage cause your utility costs to increase. As one of the best local window replacement companies, we recommend replacing old windows as soon as possible. Many of today’s windows have features that help contribute to better indoor comfort and efficiency. For example, low-emissivity glass allows natural light to pass through while blocking the sun’s ultraviolet and infrared rays. Together with the right frame material and components, you won’t have to rely on your HVAC system too much. Your siding isn’t just installed for aesthetic purposes. It also contributes to the home’s insulation, creating a barrier to minimize thermal energy loss. Choose a material that can provide protection from the elements and offer minimal upkeep. When looking for siding replacement companies in your area, look no further than John Henderson Construction, LLC. Gutters don’t add to your living space’s comfort, but they are worth keeping in top shape nonetheless. Superficial damage to the system may clog them, and once that happens, it affects your roof, siding, foundation and other parts of your exterior. Look out for cracks, rust and other forms of damage; they might mean a new gutter installation is in order. 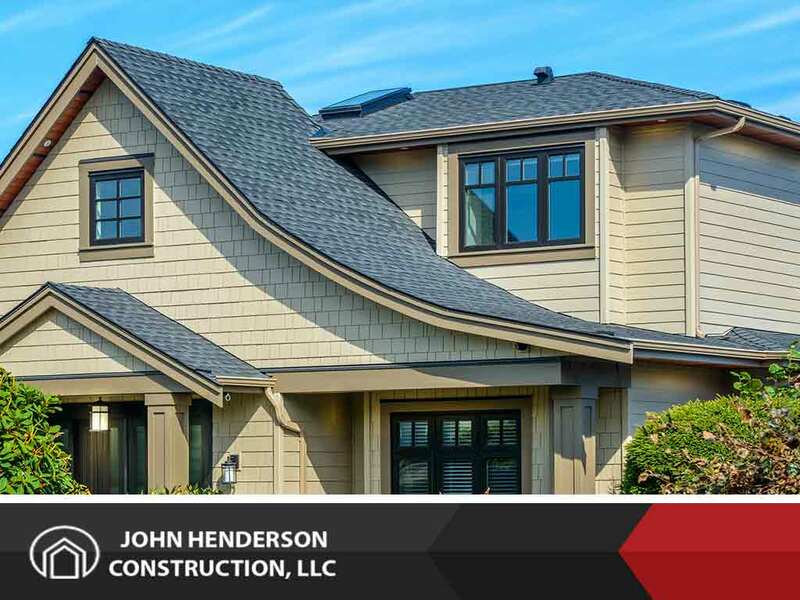 John Henderson Construction, LLC is one of the top roofing and gutter companies to turn to for your home improvement needs. You can fill out our contact form to request a free quote and get started.